While thirteen-year-old Chris is still grieving her recently dead mother, her father has already moved on?to her mother?s hospice nurse (who incidentally might be a supernatural monster in housewife?s clothing). On top of that, Chris seems to have stumbled her way into raising a nest of flesh-eating baby animals under the house with the help of her weird neighbor Hugo. 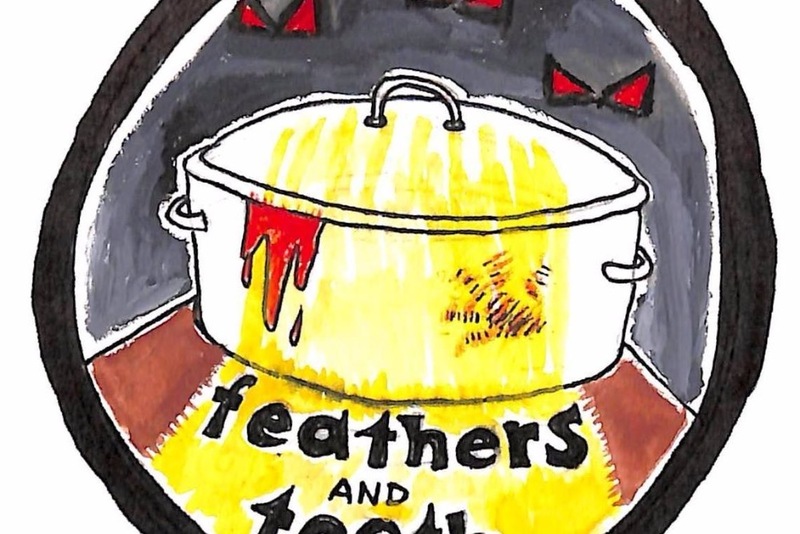 Set in 1978 and full of larger than life characters, Feathers and Teeth is a fun and exciting 90-minute play that explores misogyny and grief through the lens of campy horror and fake blood. PLEASE BE ADVISED: This production utilizes fog, herbal cigarettes, and graphic content/mature themes of violence. No reservations or tickets, $2 suggested donation at the door.